Has Julia Gillard’s tenure made it easier for the next woman? Women and mothers in Parliament: Again! 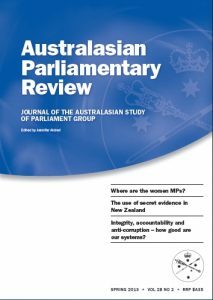 Explanatory Memorandums for proposed legislation in Australia: Are they fulfilling their purpose?